This week is Spring break and is normally a week set aside by students to catch-up on assignments before heading into the mad rush of the final four weeks of the semester. I am in that same position, but we were determined to spend a day or two out as a family. 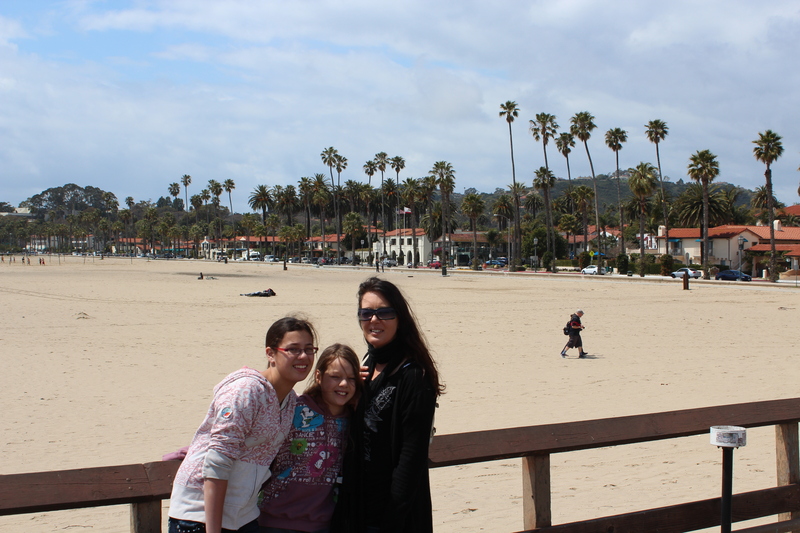 Yesterday, we went out to Santa Barbara for the day. founders attempted to emulate the architecture of their Spanish homeland. Upon arrival, we parked at the West Beach (good luck finding a free parking space in the middle of summer!) where we sat on the wide beach, ate our bagged lunch and enjoyed the sun while watching some of the locals playing beach volleyball. We then headed to Sterns Wharf. Built in 1872, Sterns Wharf has survived the odd fire and remains one of the central landmarks of the harbor and beach area. 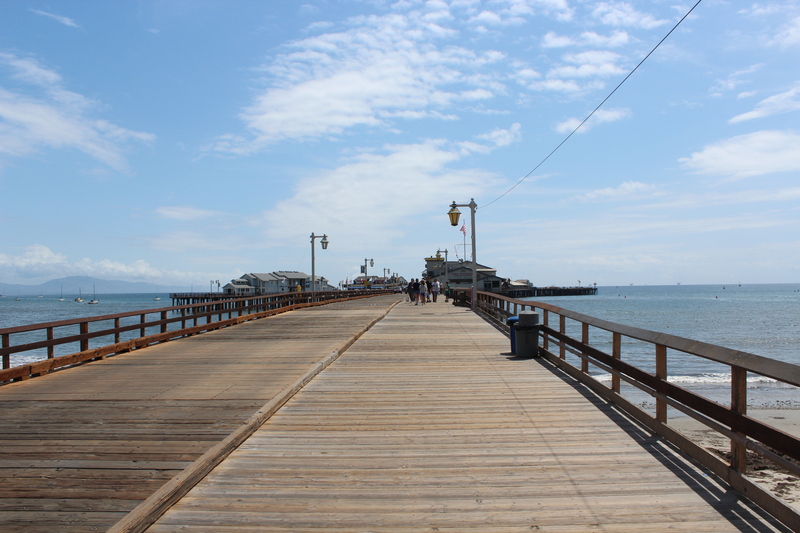 There are a dozen or so stores and restaurants on the wharf (although I couldn’t be persuaded to buy four of the $8 single-scoop ice creams despite it being nice and sunny) and also had nice views up and down the beach. 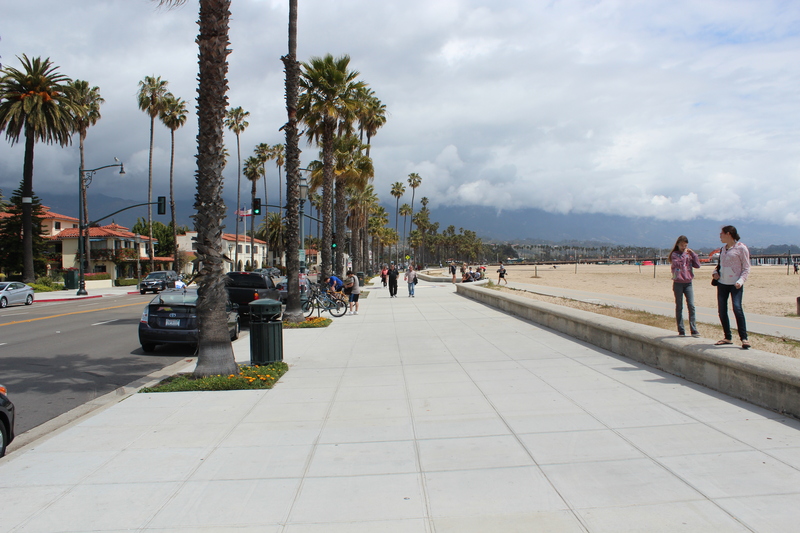 From the wharf, we drove down State Street, which is the main street where most of the shopping and cafes are situated. We found a cheap parking building (first 75 minutes free and $1.50 per hour thereafter) near the Santa Barbara courthouse, which was where we were headed. 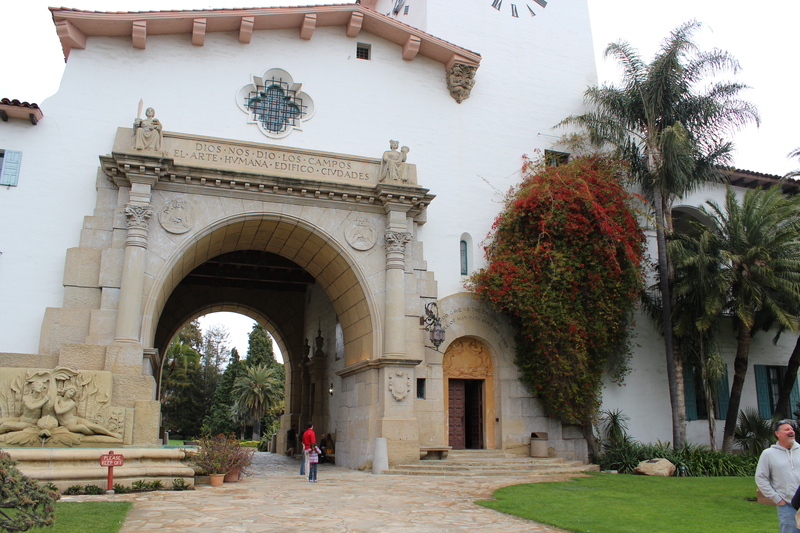 At 2PM each day (Monday through Saturday), you can take a free guided tour of the courthouse, which is a magnificent Spanish building built in 1929, surrounded by lawns and a sunken garden and the building itself features hand-painted ceilings, giant murals and decorated with imported tiles. 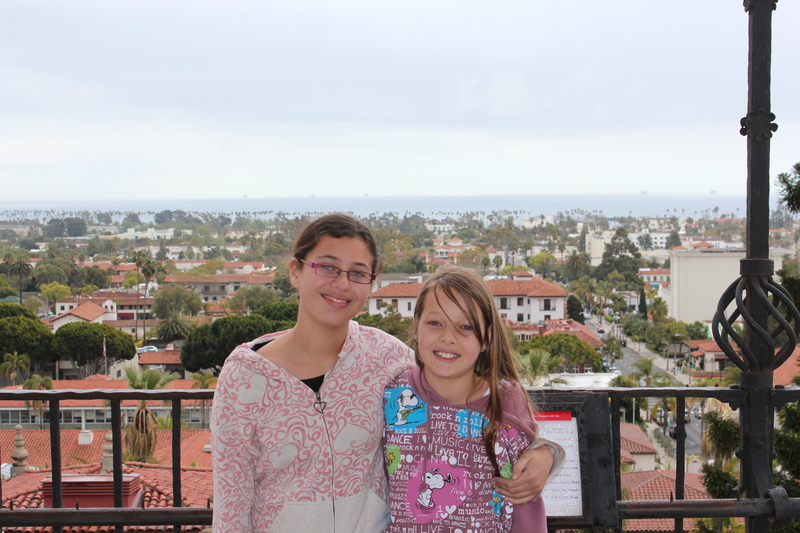 Once the tour had concluded, we went up the tower of the courthouse where we could enjoy 360-degree views of Santa Barbara, the beach and surrounding mountains. 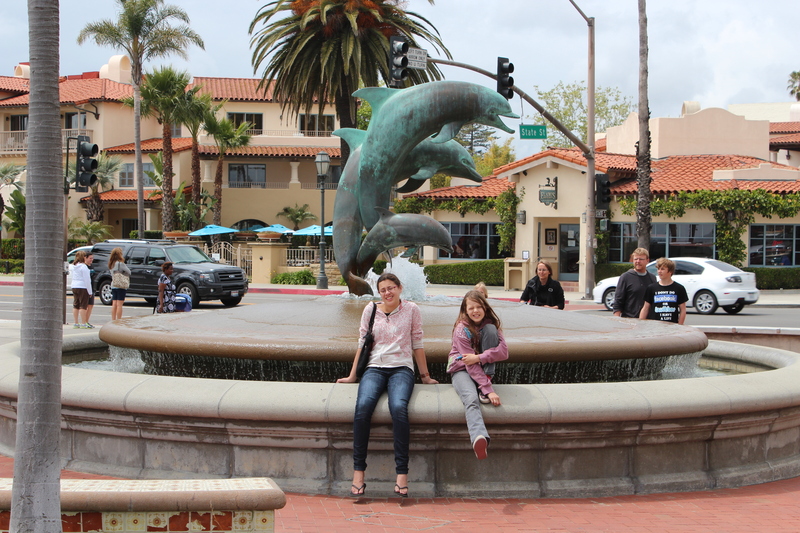 After the courthouse, we wandered around the old part of Santa Barbara, looked through the different stores (Mark even spotted a record store that was loaded with heaps of second-hand vinyl, but way to expensive to be tempted to buy anything) and ended the day by having ‘authentic’ British fish ‘n chips for dinner.